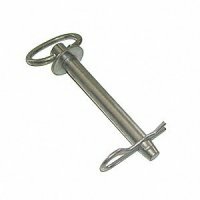 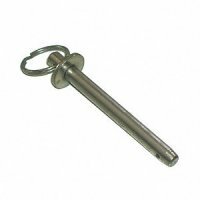 5/8 inch x 4 1/2 inch zinc plated steel trailer, tractor or cart hitch pin. 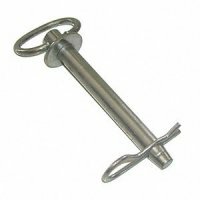 Manufactured from heat treated steel with swivel handle. 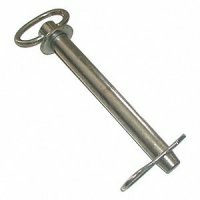 Hitch pins are used to attach trailers and various turf, agricultural, farm, mowing and recreational equipment.